We all think our hose nozzle is doing it’s job when we hose down areas around our home. But the reality is the grime doesn’t all come off. Sometimes we can see it and we resort to getting down on our hands and knees and putting a lil “elbow grease” into it. But even after all that, it’s still not fully clean and you’ve invested way too much of your precious time. The solution? Your local “mom and pop” Orange County power washing specialists. Simple. It cleans quickly, completely and efficiently… while maintaining the beauty and integrity of your home. With all the pollutants in our Orange County environment, it is important to regularly clean them off of the surfaces around our home. Not only does it look nice, but it is also preventative maintenance. 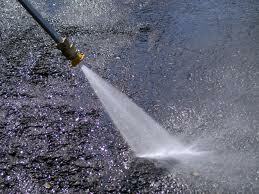 Pressure washing will prolong the life of the surfaces around your home. It will prevent mildew and mold from potentially rotting surfaces, and causing other problems down the line. The grime, oil and other surface build up not only can be unattractive, but it can also be dangerous. It is important to keep your surfaces clean as a clean surface is always a safer surface. Although pressure washing can be a wonderful way to spruce up your home, you don’t want to cause damage due to inexperience! Contact us now for your free quote to beautify your home!